Which of These Five Games Had the Best Writing of 2012? Every year the Writers Guild of America awards a special Outstanding Achievement in Video Game Writing award to the team responsible for the most memorable interactive entertainment script. Which of these five titles will walk away a winner on February 19? You know what I love about the Writers Guild of America Video Game Writing Award? It's a chance for games that weren't nominated for any other category to shine. Just look at poor Brink. Not only wasn't it nominated for any other major awards, just about everyone I know forgot it even existed. Now it stands proudly among the likes of Batman: Arkham City, Assassin's Creed: Revelations, Uncharted 3, and...Mortal Kombat? There was writing in Mortal Kombat? 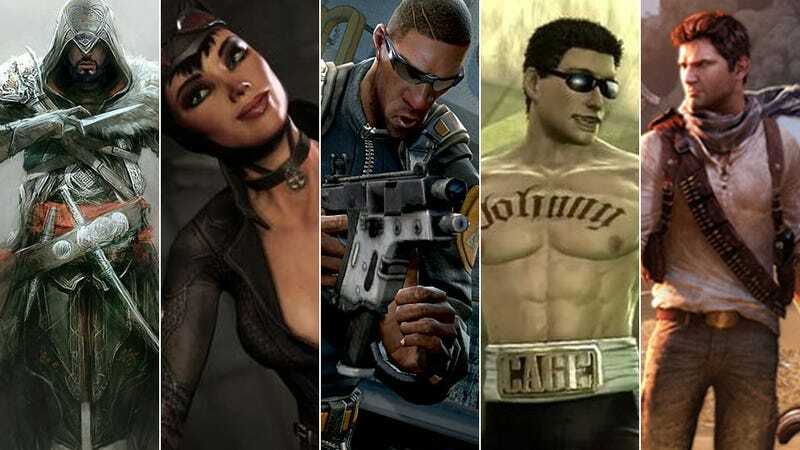 And if your favorite game didn't make the cut, rest easy; to be eligible members of the writing staff must be or have applied to be members of the guild's Videogame Writers Caucus at the time their game was released, and who wants to deal with that hassle, other than the Mortal Kombat guys? Check out the full list of nominees and appreciate a group of people that doesn't get the recognition they so richly deserve.